How to optimize images for your website or WordPress to upload anywhere? Are you searching for the best free ways to optimize your images without losing the quality to upload your website? I think you never got the best software or method for lossless image optimization. In this 4 free methods, you can reduce your images size up to 92%..! (It removes repeated pixels, generated data & changes the format. So the quality will not get affected. If you found this article helpful for you, then hit the 5 star. Here Is The Best Free Ways For Image Optimizations Those We Found With a Lot Of Research. Our “WebsiteBuilderLy” team started to hunt the best ways to make images for websites (or anywhere to upload ) according to Google standards. We studied what people needed as well as what SEO (Search Engine Optimization) needs. Here is 6 general checklist for image optimization. You need Lossless image compression. You need Quickest image optimizer without wasting your time. You need everything for free. You need the easiest way. You need the best image optimization method or ways or software in the world. You need above all 6 general checklists. You need an image optimizer which follows Google standards. So that you will get good rank in search results. You need an image optimizer which should not add its company watermark. You need mass image optimization option. You need the latest technology or updated software. You are okay with little-priced software instead of completely free to get the highest level service. All People Who Are Uploading photos to their website. And Everyone should know this…! I will give you a small introduction about the image before listing the best ways. I highly recommend you to read this. Don’t skip this paragraph. Image Quality: – How an image looks good. It is common sense. 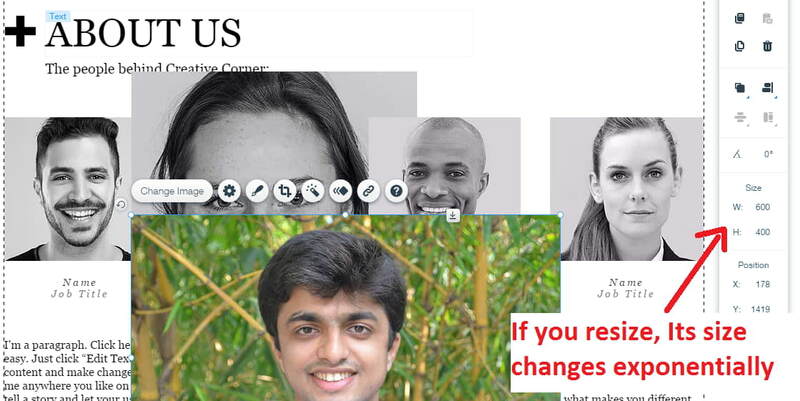 Image Resize: – You can change an image dimension. That means you can resize a picture into small or big. But, if you resize, its quality and bytes also change exponentially. Resize images only if you haven’t enough place to fit it in pages or anywhere. Don’t resize for reducing the loading time of a webpage. Image compression: – To reduce the size, means reducing its bytes. 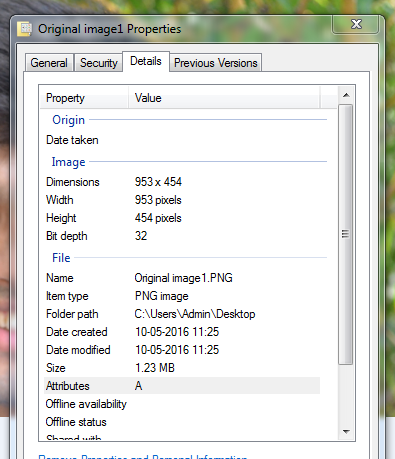 For example, if a picture size is 1MB, then after compression, its size may reduce to 500 KB, 400KB, etc. Image compression will not guarantee its quality. Image Optimization: – To make a perfect image for web or online. This is the best way to reduce the image bytes without losing its quality or dimension. If you are using WordPress or website builders like Wix, you may get many plugins & apps for image optimization for the web. But did you ever notice, how they are efficient? Will really they optimize images? Or they just show some percentages to satisfy us…! There Is No One WordPress Plugins To Optimize Images With Google Standards. If you use website builders, your images automatically optimize for the web. But In our test those are very bad performance. If you resize, Sometime its size will increases exponentially..!! For example Website Builder, you can resize, but if you make your image very large, then it becomes very difficult to load because photo size will increase several MB instead of KB..!! For example, See this screen shot. I took a screen shot from a website builder editor. Most of the people try to resize to reduce image size. They think the image will load faster. But resize is not a good idea. If you want to load your website faster than others, you should know about images. Usually, every website’s 60% to 70% of the storage occupies images only. That means images decides your website speed. So this post is very important for you. Change your perception about image quality. Big size will not indicate an image quality. You can’t measure an image quality without getting help from advanced software. Google will not love big images but the optimized images. So What is the best way to optimize images? Keep Calm & Read Slowly. 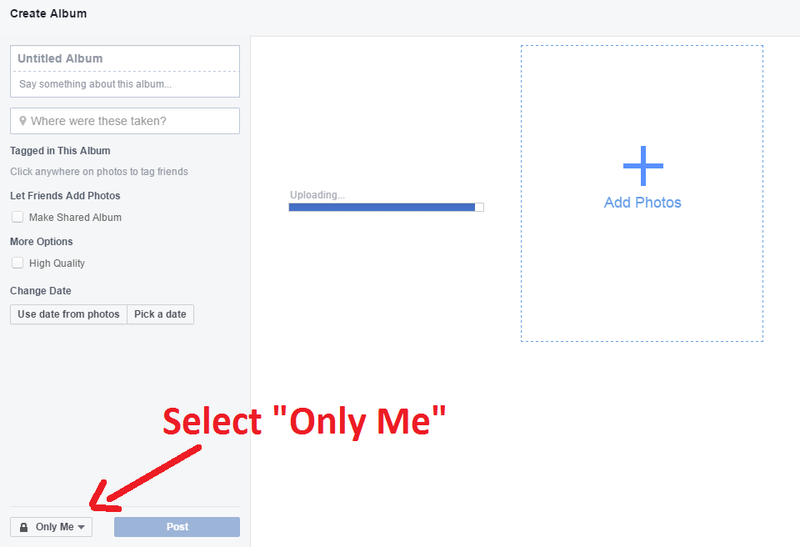 Use Facebook Image Optimizer For Free With Cleverly ..!! 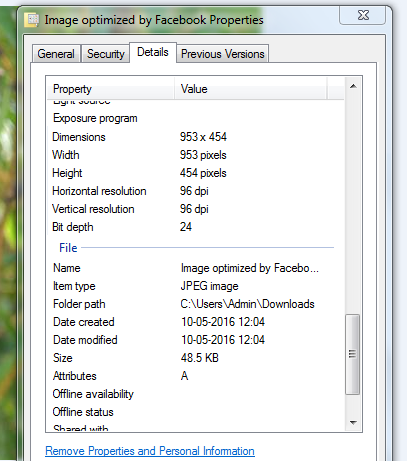 Do you know Facebook has a world’s best image optimization software? Oh..! you never heard this. It is not one of the apps in the Facebook but the FB itself..!! Here I explained the way. This is the best and easiest way to optimize your images. You no need to do anything. 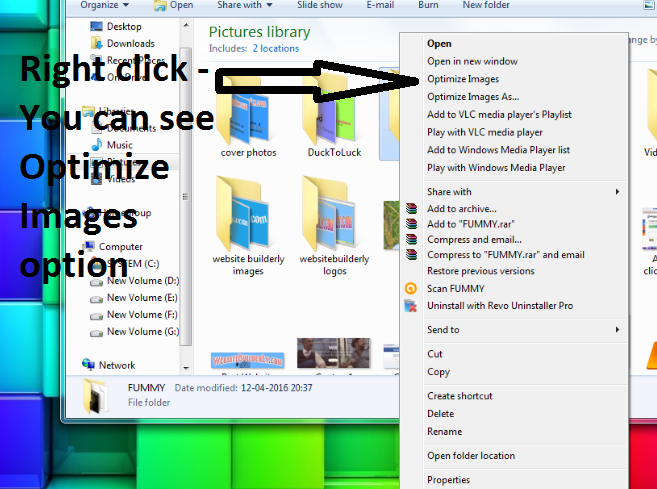 Once you clicked on +create Album, you will see popup window box from your PC. Select the photo you want to optimize. It is starting to upload. Don’t write anything about the title or name. It is simply wasting your time. Because once you download, its name becomes some alphanumeric characters. So rename your images once you downloaded. You can upload more images at once. Once you uploaded all your photos, you can download all pictures at once in album page. Go to album page where you uploaded all images. Click on Setting icon on an album page. If you get confused, see below screen shot. All photos will download in .zip format. You will get all your images with web optimized in the means of the highest level of web standards. I didn’t find any difference of FB optimized image from the original one. Everything is same except the picture size. That’s we want. I will not recommend Google Plus or other social websites for your image optimization. We found Facebook has a robust software that optimizes your photos automatically when you uploaded. If you download Facebook uploaded photos, then you can consider those are the best-optimized images in the world with fulfilling “Duck To Luck” team’s all 6 general check-list as well as 5 check-lists for advanced users..!! Note: – Facebook has its own limitation. If you uploaded high-resolution photos or full-screen photos, your image size slightly reduced. However, it is a minor problem. In general no one notice the difference. But sometimes you want big images to enhance visitors subconsciously, then don’t upload your photos to Facebook for optimization. There are so many online photo compressors, optimizers, enhancers, resizers, and it continues..! In the world, the highest number of applications are developed for photo editing and its related tasks. So it is very difficult to find the best one for you. Competition is more, but scams are also more..!! Most of the image optimization apps are nothing to do at all. To developing a perfect app needs a lot of technical knowledge about photo processing & pixel data. Many software engineers and programmers start to develop picture optimization applications, but they fail. So they simply push their apps in online and use many tactics to make people pool. They just show numbers and percentages, how much reduced your images. But they never follow standard rules. Don’t be a fool. Read below predictions. If your images were optimized, then Your images may lose it’s originally Quality. It Resizes automatically so that you can’t get the big pictures. You will get small one those are useless. It may violate any Google standards those violations you can’t know easily. It will break any one of the Duck To Luck Image Optimization Checklists. We researched, tested, verified 100’s of different online image optimization tools, web apps, & websites. For the God sake, we found 3 image optimizer those passed our all tests, and these obey all our “Duck To Luck” checklists. This is the quickest way to optimize your photos one by one. Once you upload, it automatically downloads images quickly. So you can save enough time. You can set quality as low, medium and high. This is simple setting as compared to other tools. You can also set color quality as messy, auto & sharp. High DPI mode is available. Higher the dpi, higher the image quality. You can’t upload mass images at once. You need to optimize your all images one by one. 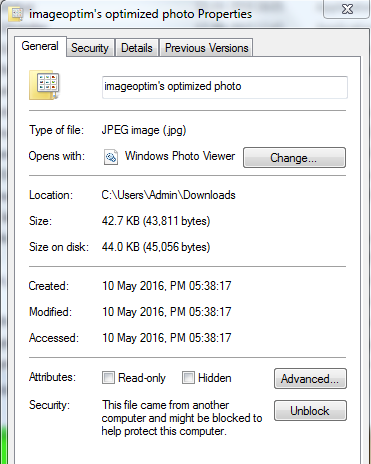 Go to imageoptim.com/mozjpeg ; you will see this page. Click on Choose files ( or click anywhere on the screen) to upload your photos or drag the image to the point of “Choose files” button. Then you no need to do anything. Automatically optimized image will download within 2 seconds. I use the same photo that I used in Facebook image optimization. You can refer to scroll above to see Its original size, dimension & properties. Dimension became the same as the original one has. You can see its properties and details screen shots. You can adjust color quality and image quality. If you adjust it very high, then its size may vary a little bit. (For example, my optimized photo’s size becomes 70KB instead of 42.7KB from the original size 1.23MB), but it will always be the best. This is the best image optimizer ever. It obeys all our “Duck To Luck” checklists. Online photo compressor for the web. Mass image optimization process is not good. 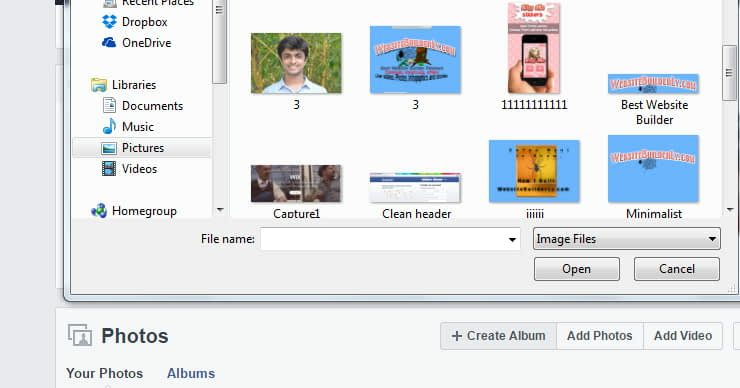 If you select a folder with a large number of pictures, then it is unable to make processes. The shareable link is may harm to your copywriter materials. If their shareable links are public, then Google thinks, compress. Photos website is the original image creator. So once you upload and then download and then you will upload that same photos to your website. First, you upload all your photos into a compress. Photos, so it is not okay for you if you are a professional blogger. It starts to upload and at the same time it optimizes. You need to wait just 2 seconds. Your photos become optimized and available for download. I used again the same photo that I previously used. And It obeys our “Duck To Luck” all checklists. Upload and download. You no need more explanation. You can do this. It is same as compress.photos, but here you can’t get shareable links (However in compress. photos shareable link is not working. They are developing. Hope it will make it). So your images are secure. If you are a serious blogger, then I suggest Compressnow instead of compress.photos. 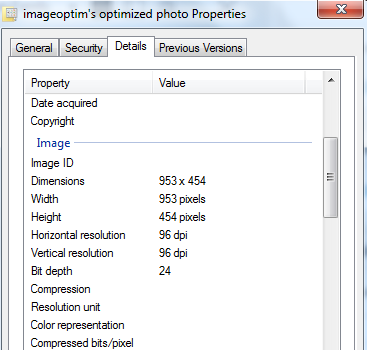 Imageoptim is the best, and its optimization process is more superior than others. If you have limited internet, or you have 1000s of photos to optimize, then I recommend you to download software. So that you can optimize your images in offline quickly. Always offline processes are very fast. It means if you use offline tools for your image optimization, then you can do it quickly. I use this method. In Offline optimizer (Downloadable software), we didn’t found completely free with all our “Duck To Luck” checklists. But you can get many paid software with the best quality. Description:-This is the fastest way to optimize images in the world. Very easy method. Right, click option. Mass image optimizations in 1 second. Drawbacks: – One of the major drawbacks of this software is all optimized images get a small watermark in the bottom right corner. Only paid user can get watermark free optimized images. Its price $29. One time payment. So you no need to worry. Go to which photo you want to optimize. You will optimize images option. Your image will optimize with satisfying all our “WebsiteBuilderLy” Checklists. If you found superior image optimizer tools, apps or software than our “Duck To Luck” collections, please comment below. “Best website builder for photos & photographers” This review is coming soon.